Freelance journalist Lindsay Gordon is strapped for cash. Why else would she agree to cover a fund-raising gala at a girls' public school? 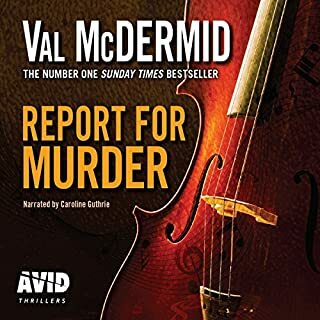 But when the star attraction is found garrotted with her own cello string minutes before she is due on stage, Lindsay finds herself investigating a vicious murder. Who would have wanted Lorna Smith Cooper dead? And who could have slipped out of the hall at just the right time to commit this cold-blooded crime? 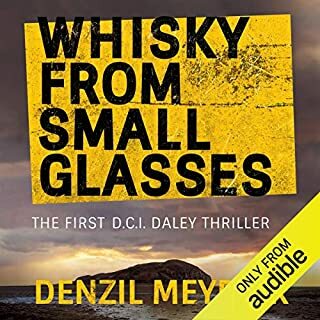 The brand new thriller from the award-winning crimewriter. 'Death is a hollow drum whose beat has measured out my adult life.' So writes Jay Macallan Stewart in her latest volume of memoirs. But nobody has ever asked whether that has been by accident or design. Nobody, that is, until Jay turns her sights on newly-wed and freshly-widowed Magda Newsam. For Magda's mother Corinna is an Oxford don who knows enough of Jay's history to be very afraid indeed...For Adults Only: Explicit language. Great Story, Well Told, Well Read! 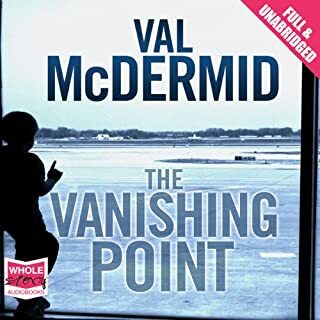 Five-year-old Jimmy Higgins is brazenly snatched from the middle of a busy airport; but this is no ordinary kidnapping. Jimmy’s mother is Scarlett, a reality TV star who, dying of cancer, entrusted the boy to her friend Stephanie Harker. 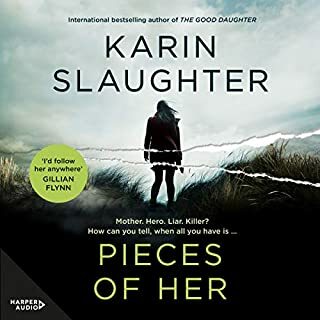 Now Stephanie, reaching into the past to discover the motive behind the abduction, soon encounters a shocking tale of murder and conspiracy, and is faced by the most difficult choice of her life. 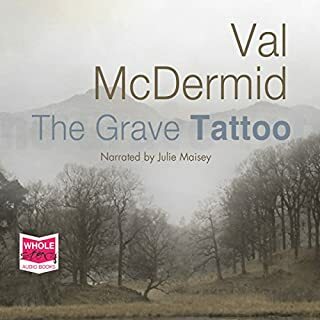 When torrential summer rains uncover a bizarrely tattooed body on a Lake District hillside, old wives' tales also come swirling to the surface. For centuries Lakelanders have whispered that Fletcher Christian staged the massacre on Pitcairn so that he could return home. And there he told his story to an old friend and schoolmate, William Wordsworth, who turned it into a long narrative poem. On a freezing morning four drunken students stumble upon the body of a woman in the snow. Rosie has been raped, stabbed and left for dead in a cemetery. The only suspects are the four young men now stained with her blood. Really enjoyed the tension in this story. A number of threads - a number of possibilities. But all come together in the end with an unexpected finish. It's not bad, read it. Wonderful story covering twenty five years you become very involved in the involving lives of the characters. 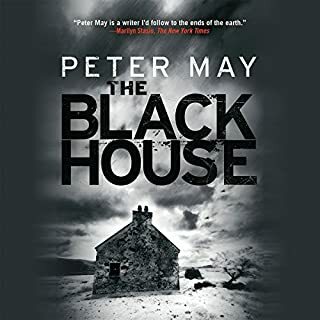 The story is complemented by the rich voice of Tom Cotcher. Dull colourless and boring. The plot was dragged out and the narrator didn't seem to like it either. Listening in the kitchen for an hour a day, I gradually got absorbed into the story, the lives and the places. There were several distinct characters, but not too many to become overwhelming. The storyline twists and turns and is ambushed by sudden new events. 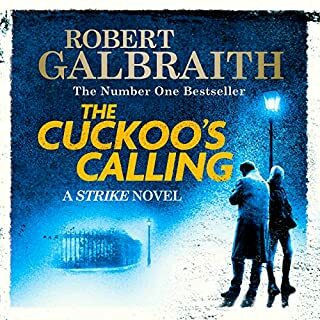 The narrator was perfect - different voices for different characters. Words quite distinct with a lovely Scottish accent. I looked forward to my listening time each day. 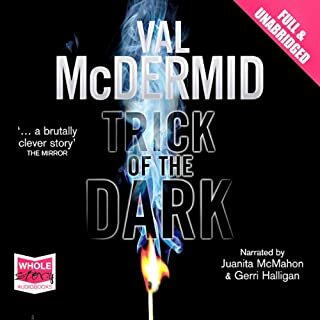 I am a new convert to Val McDermid. Loved this novel, like most I have read by this very talented author. 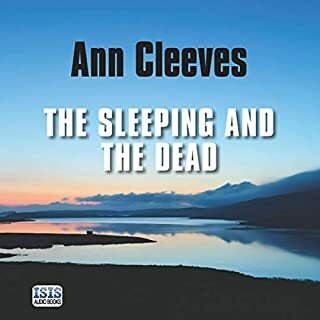 This one was superbly narrated by Tom Cotcher. 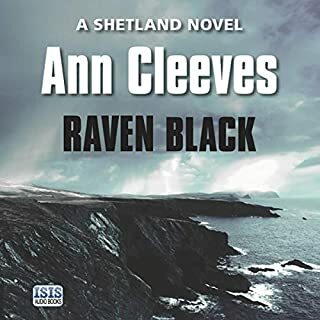 I loved the fact that the book, set in Fife where I grew up, was narrated by a Scot. Seemed to make the story all the more believable for me. 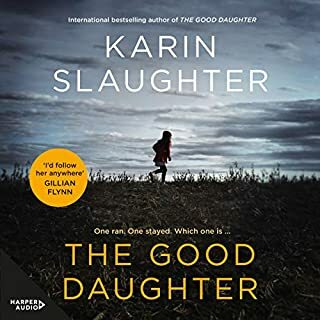 Loved at the suspense and mystery that this novel creates and, surprisingly, I didn't see the final twist coming which improved this novels enjoyment for me. 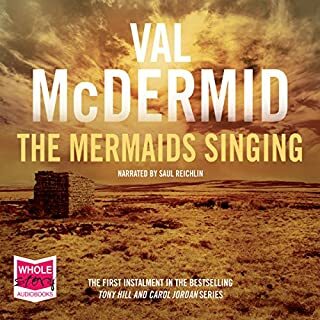 I have downloaded many of Val McDermid's novels, and almost all I have very much enjoyed. A recommended read. Would you listen to The Distant Echo again? Why? I really enjoyed The Distant Echo. The story was interesting and kept me listening late into the night, well past my bedtime! I don't typically re-read (or listen again) to my books, but there would be nothing to keep me from it. I really enjoyed it! The twisted ending blew my socks off! The development of the characters from young men in university to grown men with careers, wives, and children. The end of the story was shocking to me, and it's hard to catch me out. I usually have the "whodunit" figured out by the conclusion. I didn't with this book! What about Tom Cotcher’s performance did you like? His accent. Otherwise, I didn't really enjoy his performance. I thought his various voices of the main characters were strange--especially Rev."Weird." No, neither. It just kept me on the edge of my seat. I'm going for the next book in the series now. Great writing with a very surprising ending. Audio was very good - nice voice - but some of the accents were a bit odd! Overall very enjoyable. I really enjoyed this book. 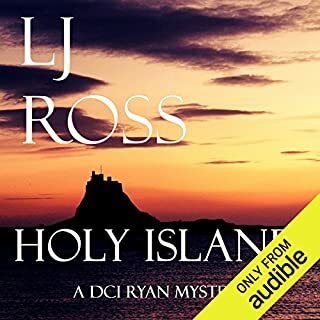 The narrator has a lovely tone and it works well with the story. Lots of twists to keep you interested. Great book. 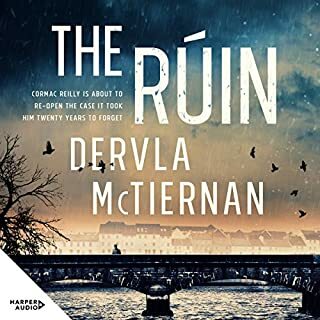 Thought the beginning was a bit strange with only 4 characters but second half if book was fabulous and kept me gripped. Very good...if a little predictable.. 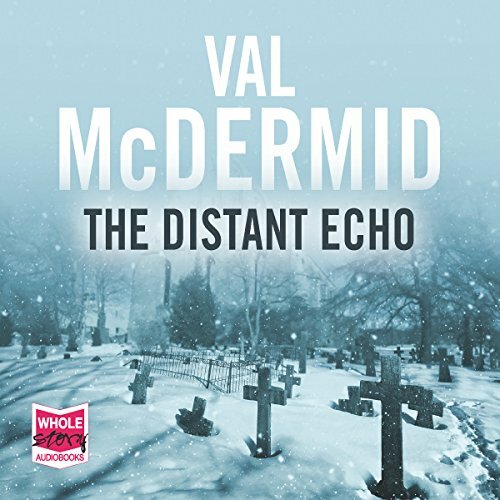 The Distant Echo is, on the whole, a very enjoyable 'whodunit'. 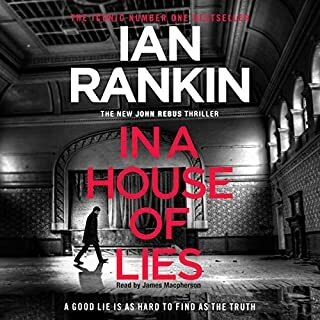 The story centres around a murder that takes place in the 1970's, and the subsequent investigation that ensued. The story is then picked up 25 years later, with many questions still unanswered. Tom Cotcher turns in a very accomplished performance. 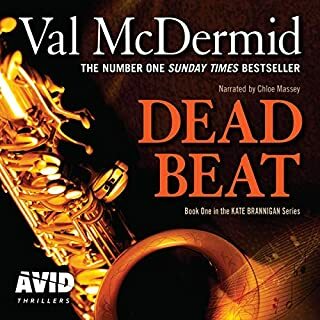 It was a shame I had a good idea of who the perpetrator was fairly early on, but still, McDermind provides us with some great twists and turns along the way. Fantastic story - narrator could be better! 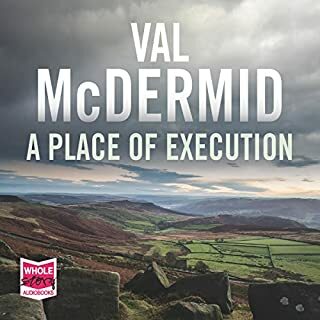 The story was nothing less than I've come to expect from Val McDermid - fantastic. Unfortunately the narrator ruined it in parts for me. He would slip into a Scottish accent when speaking for someone American and sometimes not switch from one characters voice to another when he should have - making it slightly confusing to keep up. There were a couple of times where I had to re-listen to bits to work out exactly who was speaking. 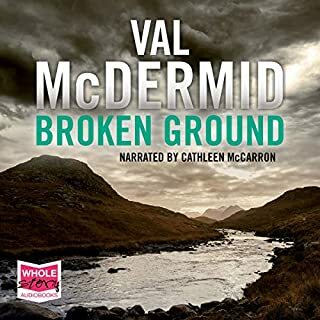 I wouldn't let that put me off listening to one of Val McDermid's books read by him again but I feel it needs to be pointed out.